Australian beach painting, this is an extra large painting featuring an underwater reef setting,vibrant and colourful and amazingly intricate in design, will surely impress the collector or lovers of art. It is done with a distressed finish allowing for a uniquely different look resulting in a weathered washed out appeal that is subtle, soft yet scratchy and edgy, this is a surface finish that is not generally used in this style of painting, hence it’s remarkable and unique appeal. (It looks amazing and so different). 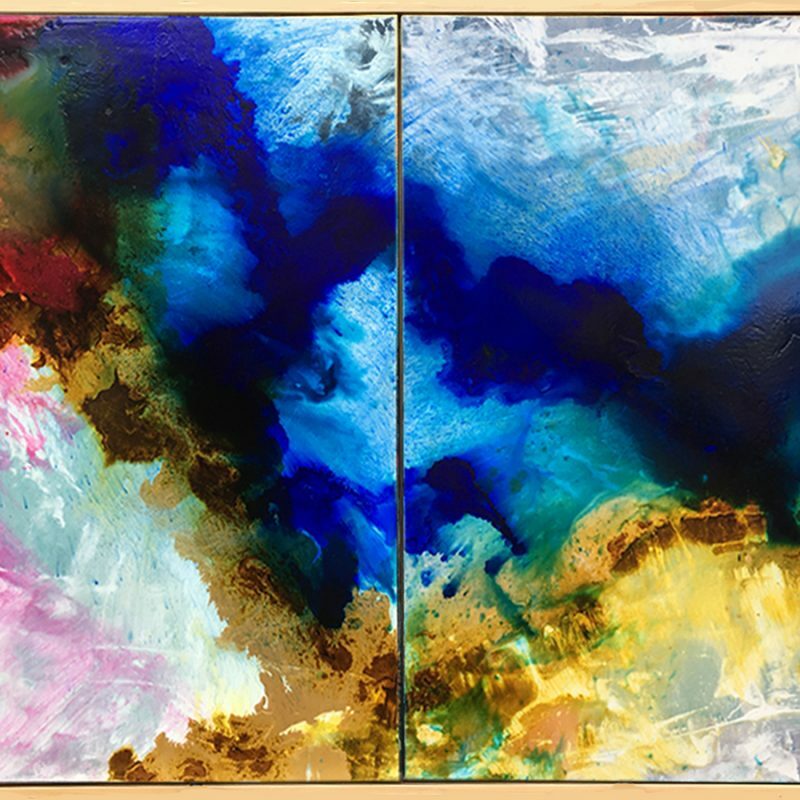 Tipping the scales at almost 2 mts wide, the 198 cm x 137 cm is a huge masterpiece of vibrancy and extreme colour. It just makes you happy looking at it, the way the patterns intertwine, connect and extend across the painting whilst incorporating a theme of scuba divers exploring the underwater reef just appeals in so many ways.Karen very much enjoyed creating this totally awesome and uniquely distressed painting look that she will be doing many more in this style because in her words “The finish is incredible, different and everyone who has seen the painting just loves the distressed nature of finish, it has taken the painting one step further, brilliant l love it, it’s my favorite painting to date, it’s just so different and super interesting. I just love coral reefs and the feeling of exploring them, the beauty, the splendour, its a unique space that l could paint forever “. Gallery wrapped (mounted to backing frame with sides painted as per painting front) and ready to hang. 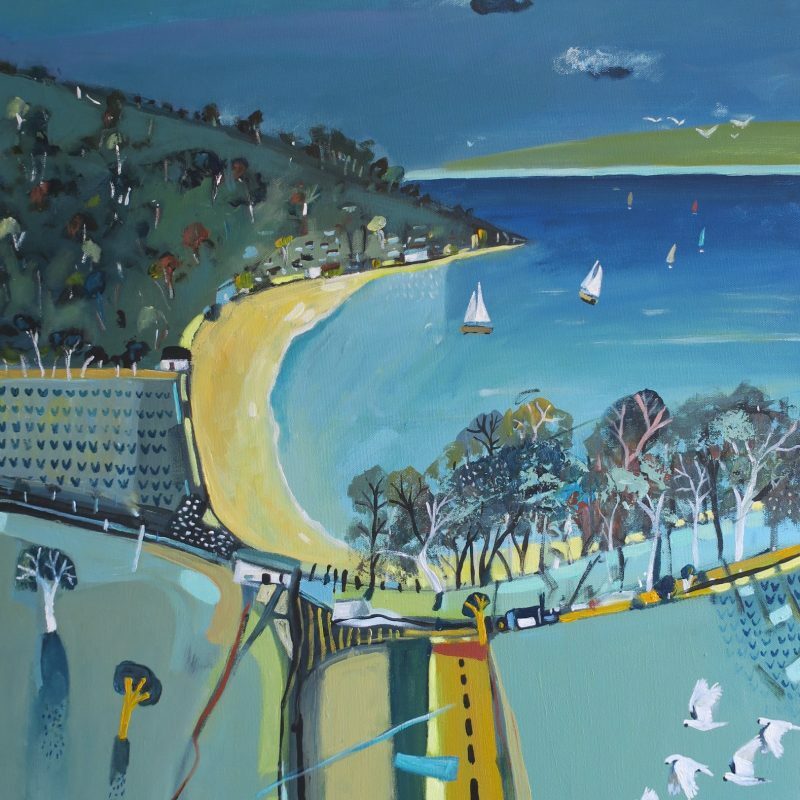 Karen is a highly sort after collector/investment artist selling Australian beach painting inspired art both across Australia, England and the USA. 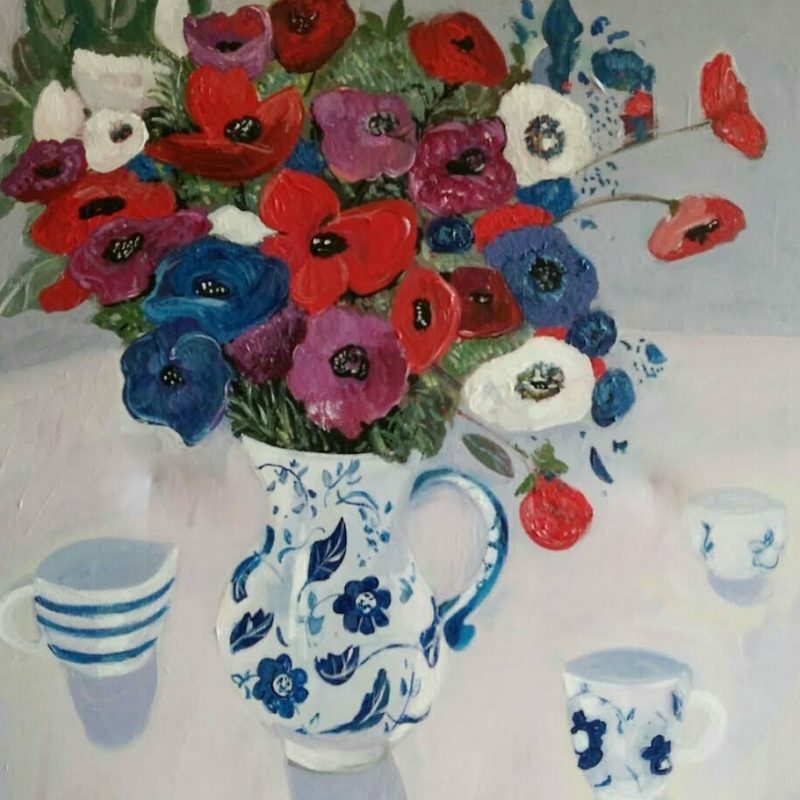 Her latest paintings sell virtually the minute they are available, hence she does numerous commissions with collectors waiting. As with all of her art her inspiration for one work generally comes from previous works, it’s like a progression or an extension of her work, where one painting influences the next and the paintings slowly find new meaning and new content through that. 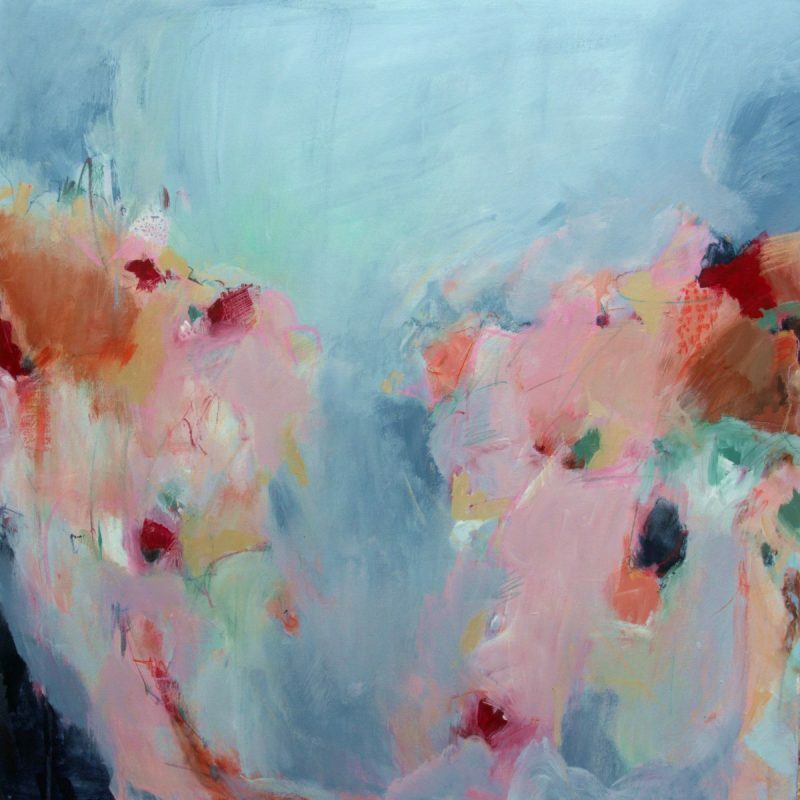 As with most of her paintings Karen is highly influenced by the ocean beaches that surround her, the joy felt, the beach vibrance, energy and excitement felt by visitors and locals. 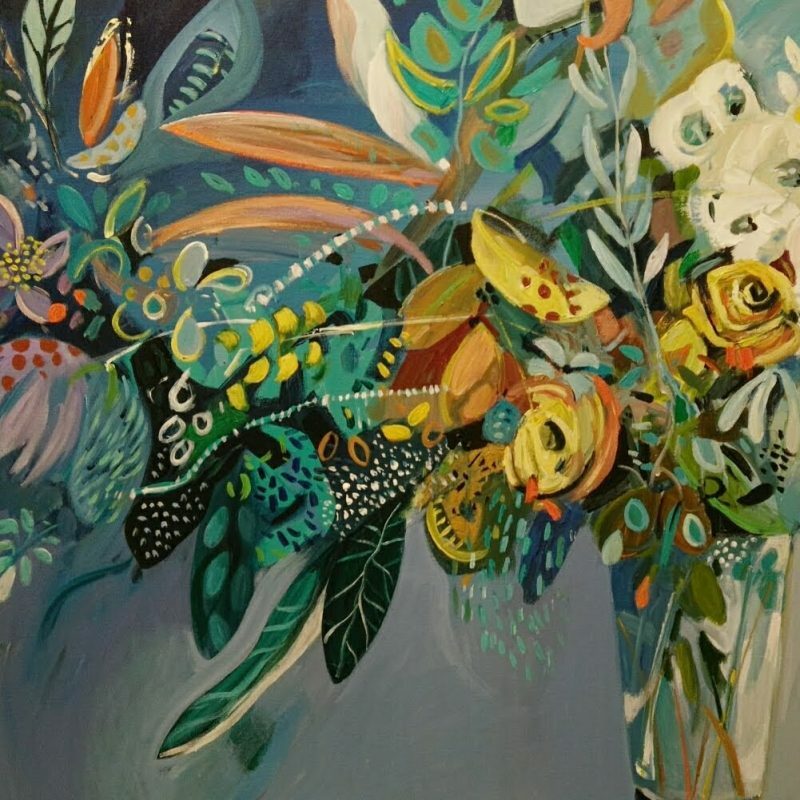 Her paintings are done in only professional acrylic paints and canvas. Karen’s style is original, unique, whimsical in nature, intricate, and abstract in design. Karen enjoys working in large scale and that certainly presents the wow factor on any wall. 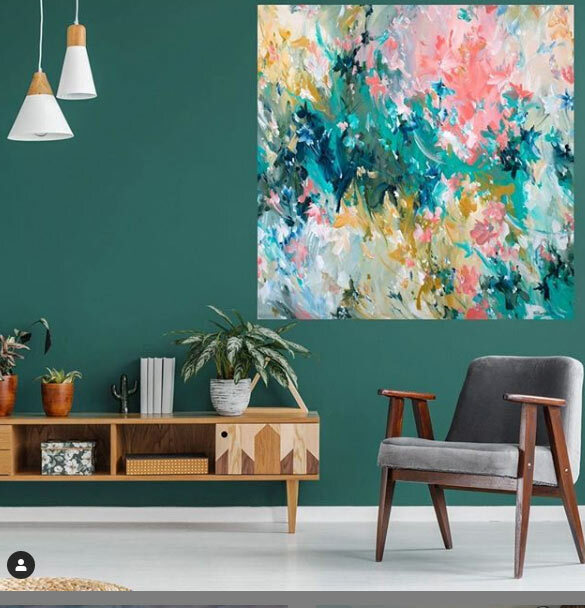 A painting this large is a feature wall in itself and will have your visitors green with envy. If you enjoy colour than this painting will not disappoint. 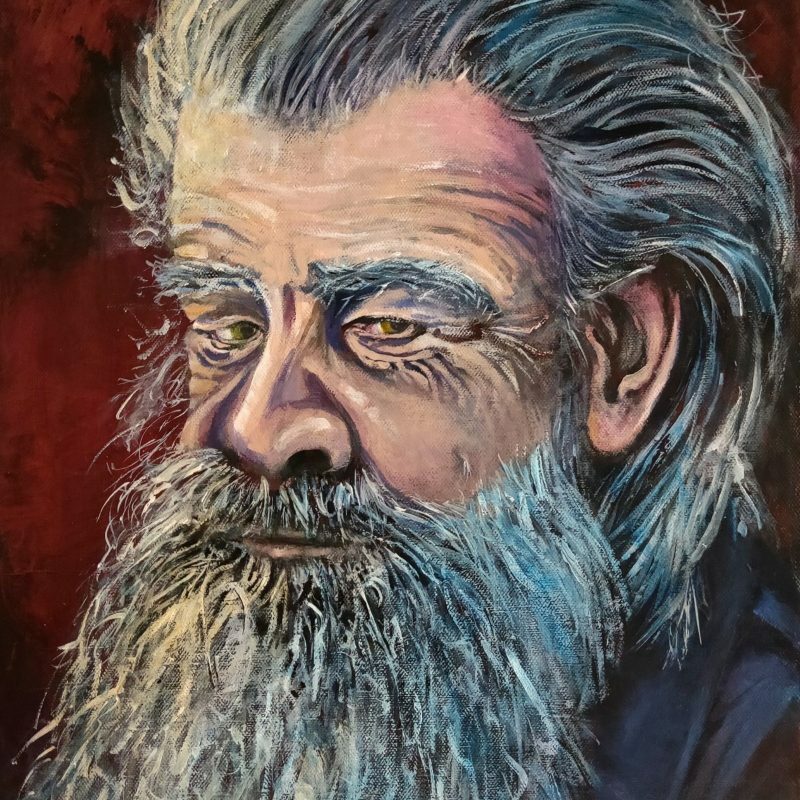 Karen is professionally trained artist completing a Double Major Bachelor Degree From Curtin University in Fine Art and Visual Culture in 2012. 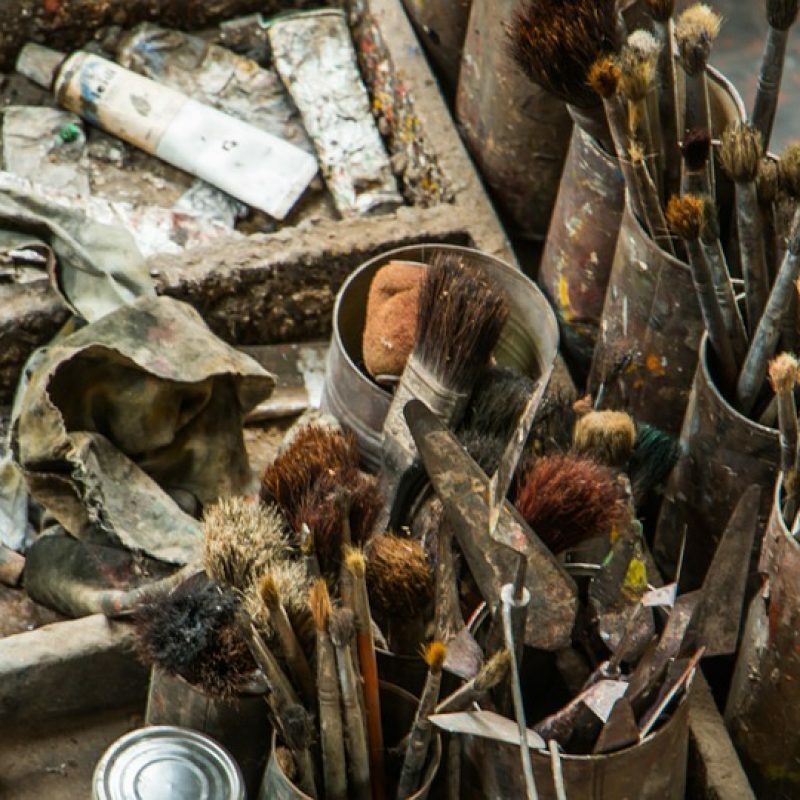 Like any sold paintings, why not commission your own and incorporate personal factors in. Be quick, large scale paintings like this go fast!